January/February 2017 Edition: Let’s review Demand-based vs. Energy-based cost components. Did you know spending a few minutes to better understand how energy purchasing works and the various components of energy supply costs can help your business reduce its energy spend significantly? Although choosing a reputable retail energy supplier is essential, selecting the best product solution for your organization’s energy needs is critical. Often energy buyers select the most basic product, missing out on opportunities for significant cost savings. What’s preventing energy buyers from selecting alternative price plan solutions? Clarity and understanding around the variety of cost factors and market conditions underpinning energy products may not be clear. Secondly, some suppliers don’t take the time to explain how other product solutions may be more beneficial for your specific business. At AEP Energy, we partner with businesses to help build smart and successful energy strategies. Taking a few minutes to better understand how energy purchasing works and the various components of energy supply costs can help your business reduce its energy spend significantly. Below we explain the ins and outs of what makes up your energy supply costs and why this information is important when it comes to selecting the right plan for you. What cost components make up your supply cost? When you begin to research and shop energy suppliers, it’s important to have a foundation of what cost components make up your energy supply cost. These components can be broken down into two main categories: 1) energy-based cost components and; 2) demand-based cost components. We’ll explain both categories in detail and demonstrate how you may be paying more with the all-too-common standard all-inclusive firm price that many competitors push. Electricity based costs are driven by your usage. This equates to 60 to 80% of your total cost. These costs are determined by how much energy you use and electric power purchased on the market. 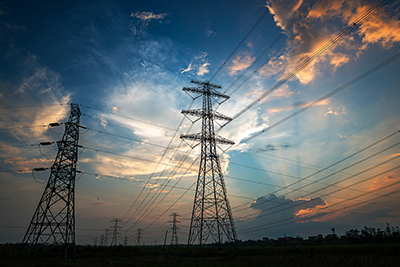 Capacity costs are fixed for a year and are generally known three years in advance as auctions are held by the Regional Transmission Operators (RTO), such as PJM, and power generators. These costs are paid to power generators by electricity consumers to ensure generation supply meets demand during peak periods. Due to how capacity prices are determined, prices can change greatly year over year. They can also differ from one utility to the next and can vary by location. 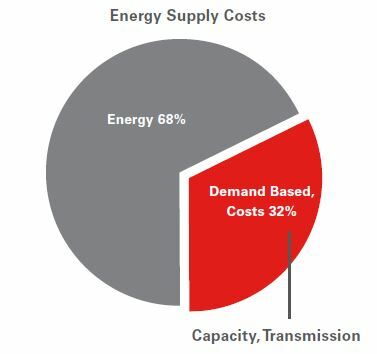 In addition to these costs, your individual Peak Load Contribution (PLC) is taken into account when determining your capacity cost.Many utilities calculate your PLC at the end of summer by taking your average demand level during the five highest demand hours for the entire PJM system. Once calculated, your capacity cost will become effective the following planning year beginning on June 1. This value is unique to each customer and is derived by identifying your business’ energy demand level during your utility’s transmission network peak. Your NSPL becomes effective January 1. This value is specific to your respective utility and takes into account for all dollars spent on transmission projects and maintenance. Some customers are more comfortable securing all their energy supply costs components with a standard all-inclusive firm price plan. However, what you may not know is that you could be paying a premium for this type of product. There are other price plan options that AEP Energy offers that allow you to pass-through your capacity and transmission costs so that you pay your exact true cost each month. This benefits you with possible savings in the event your PLC or NSPL decreases for an upcoming planning year within your energy contract. Before you begin exploring options for your next energy contract consider these steps. Gather information from facility operations, organizational goals and objectives, and energy usage data. Take advantage of AEP Energy analytical tools to develop a customized solutions package, along with analyses to help you assess your cost savings and management potential. Lastly, AEP Energy will meet with you to explore the results of our analysis to identify your optimal purchasing strategy. AEP Energy cannot ensure that the subject information is correct (and may need to rely on third parties to provide certain information). As such, AEP Energy makes no expressed or implied guarantees or warranties related to this information and the information provided in this Report is not a guarantee of any savings. How Does Winter Impact Energy Prices? 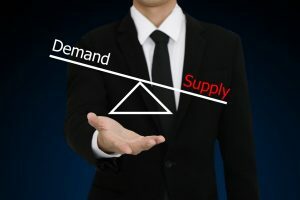 Energy Purchasing – What’s the best energy-purchasing strategy for you?